St Ives Food and Drink Festival, supported by Carbis Bay Holidays, will take place on Porthminster beach from 6pm on 10th until 12th May. The location is a stunner, with events taking place right on the sand, with the sea and the town of St Ives as a beautiful backdrop. Daytime content is mostly free and includes top chefs demonstrating mouth-watering dishes in the Chef’s Theatre, as well as lots of music, art and family fun. Visitors can also enjoy plenty of street food, shopping and tasting in the artisan local producers’ market. At night, there are ticketed music events on the Lighthouse Stage, presented by Harbour Hotels and featuring BBC Radio 6 Music favourites, Daytoner Live as well as Cornwall’s own amazing Queen tribute band, The Good Old Fashioned Lover Boys. 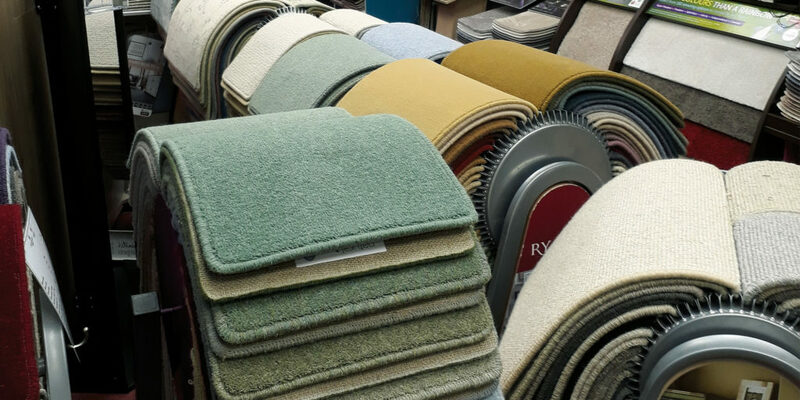 Offering personal service with an acute attention to detail, The Carpet and Homestore in Penzance is a member of the Carpet Foundation, approved by the Trading Standards Institute. It’s also a member of the Cornwall Council Trading Standards ‘Buy with Confidence’ scheme, as well as the Carpet1st buying group, which keeps costs down, meaning that replacing your carpet with The Carpet and Homestore is both cost effective and quality assured! The team also offers a free, no-obligation measuring and quoting service, as well as friendly and expert advice that stems from 20 years of experience. Indeed, from start to finish, your new purchase is managed and made as easy as possible – whether you want to fit the carpet yourself or have the store’s experienced team install it for you! Why not pop in to the Longrock Business Park showroom? Gweek Classic Boatyard is delighted to announce the launch of Constance River Cruises. 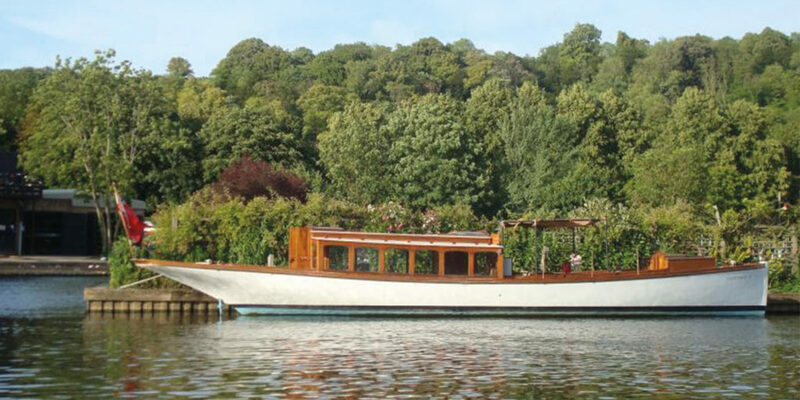 Constance is a 50ft Victorian launch offering catered cruises on the Helford river. Cruise packages include either lunch, afternoon tea, drinks with canapés or dinner, with a complimentary glass of prosecco on arrival and a well-stocked bar on board. Catering is provided by renowned chef Mark Devonshire with a focus on fresh, local produce. 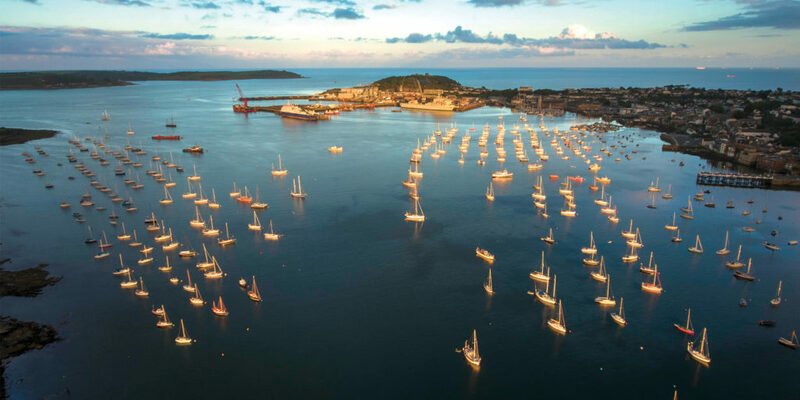 Cruises last around two and a half hours and take in the picturesque Helford river and Frenchman’s Creek, with the option to visit Tremayne Quay and have a swim or do some mackerel fishing. Constance is crewed by an experienced local team and is the perfect bespoke experience for a special occasion. All ages and abilities are warmly invited to Push the Boat Out Day at the Royal Cornwall Yacht Club on Saturday 11th May between 11am and 5pm. Families and children are most welcome, and anyone can just pop along and see if the RCYC floats their boat! Have a go at dinghy sailing. Lifejackets and qualified instructors are all on hand and on the day you can enjoy trips around the harbour. The RNLI will be in attendance, giving anyone who needs one a free life jacket check. What’s more, visitors can discover the fabulous waterside club house and bar, chat with club members and get the lowdown on the club’s facilities, including its free launch service to get you out to your boat, the RYA courses that are on offer, exciting weekly races, free weekly social sailing, plus a fun year-round social programme. It’s a great place to make friends and get out on the water, and the best part is there’s no need to own a boat to be a member, so why not pop along and give sailing a go? 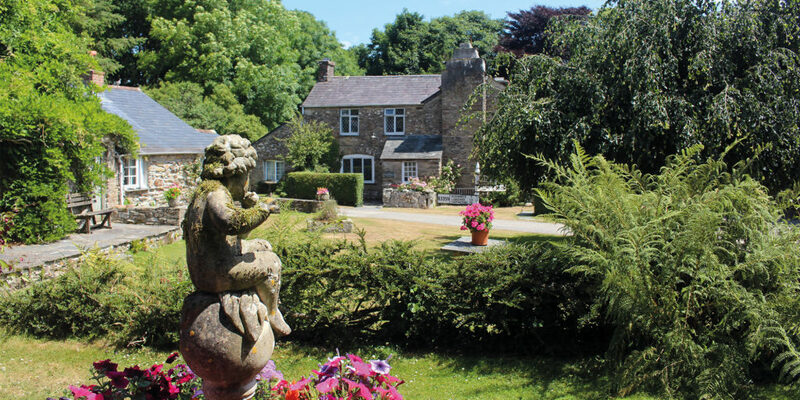 Situated between Looe and Polperro on Cornwall’s stunning south coast, Tremaine Green Self-Catering Holiday Cottages provide you with the chance to experience a tranquil country escape just minutes from the coast. Comprising of 12 period cottages set in a private hamlet, there’s a cottage to suit families of all sizes. The team can even accommodate larger family gatherings spread between two or more of the properties. The award-winning grounds promote a peaceful atmosphere, with friendly miniature ponies and pygmy goats grazing in paddocks and a tennis court, games room and outdoor play area to utilise as well. Ideally located to explore everything that Cornwall has to offer, with The Eden Project, The Lost Gardens of Heligan and fishing villages like Looe and Polperro all within easy reach, make sure to book your cottage now for an idyllic holiday by the coast. Have you ever wondered how to cope if you want a little support while recovering from an operation or illness in the comfort of your home? 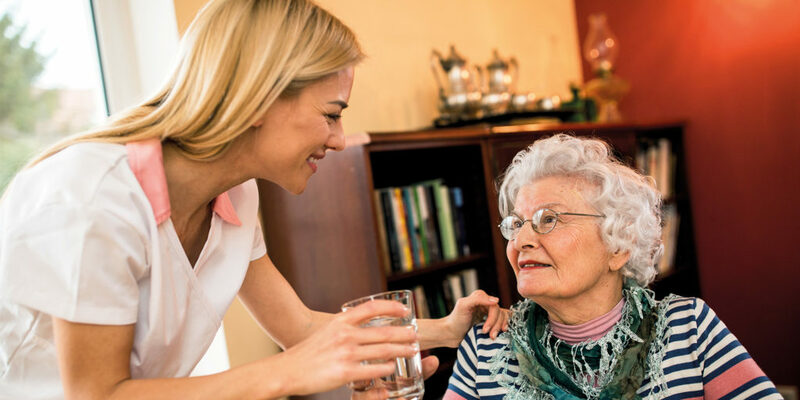 Live-in companionship care is a lifestyle choice for many who love their independence and welcome a little expert companionship at home to help them get back on their feet. In fact, it’s been found that those receiving the right support and encouragement immediately after an operation often have better outcomes and make a quicker recovery. Bluebird Care are the local care provider in Cornwall, rated ‘Overall Outstanding’ by CQC, who offer fully trained live-in care professionals for discrete companionship at home, to aid recovery, support independence and bring peace of mind for you, your friends and family. Companions have their own bedroom and allow you space to live separate lives, but are always on hand when needed. 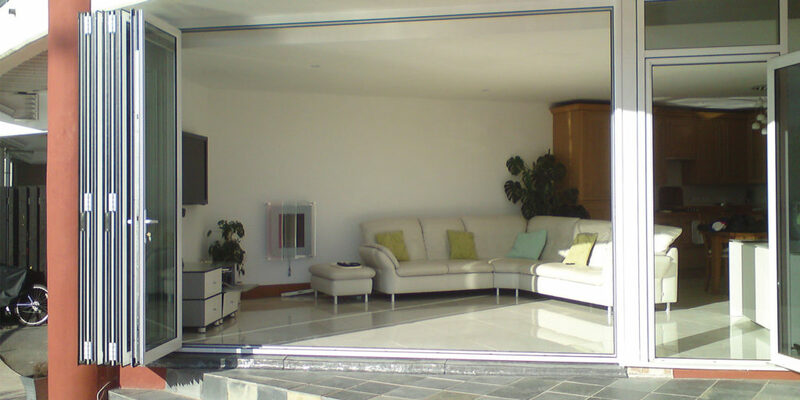 Bi-fold doors have been loved since as far back as Roman times. Today, they can be used externally or as internal room dividers, and made from a variety of materials. Most are glazed with wood, aluminium or uPVC frames and sashes. At Philip Whear Windows & Conservatories, the team has a flexible range of bi-fold doors that are not only aesthetically pleasing, but that have also been designed for performance. Being 25% more thermally efficient than most others, they promise to keep your home warmer and your bills lower! Where glazed, these doors are made to receive high-performance 28mm double glazing, manufactured to conform to British standards, with toughened glass carrying the BS ‘kitemark’. Strong and secure, with multi-point locking systems to keep your home safe, they also come in a range of colours. Why not head to the Philip Whear showroom in Pool and see for yourself? The Cotton Mills Design House is now open! After providing interior services in Cornwall for 30 years, the Cotton Mills have taken the huge jump and built their own interiors showroom. Working with award-winning architect, Nigel Stock from Kerrison-Stock Architecture, they have created an inspiring building and showroom with its double height space and generous natural light. 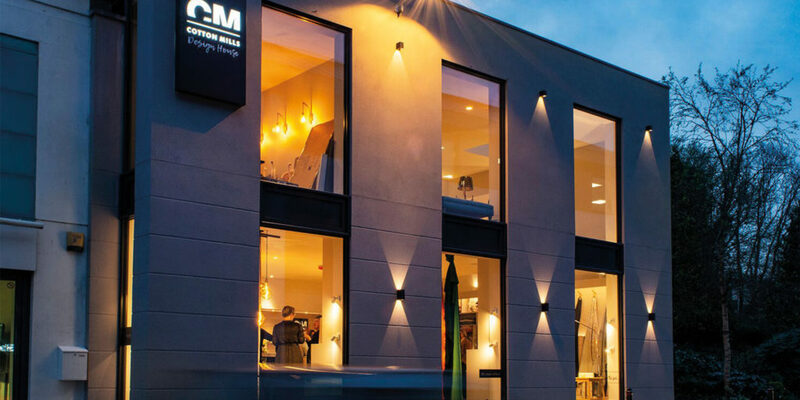 As their business has grown, Cotton Mills is able to offer more services to their clientele such as furniture and lighting, in addition to their enormous range of interior fabrics, carpets, upholstery, shutters, wallpapers, cushions and design services, and all of it can be installed by their own dedicated team. For advice and inspiration, pop in to the new Cotton Mills Design House, at 1 Infirmary Hill, Truro TR1 2JB (opposite ShelterBox). Kernow Fires are celebrating the opening of their extensive new Everhot Kitchen Showroom on Trenant Industrial Estate in Wadebridge on Saturday 4th May. A must-see for anyone thinking about updating their cooker, replacing a kitchen or upgrading their range cooker. 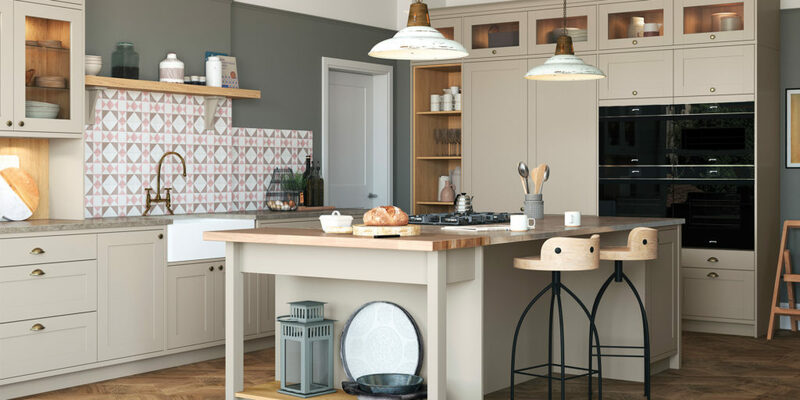 The showroom comprises of five handmade kitchens from local company Broad & Turner, a large range of Everhot cookers and doors in every colour enamel. Enjoy a glass of prosecco as you wander around and peruse the new ranges, listen in on demonstrations and discover the delights of outdoor cooking with the Morso team. 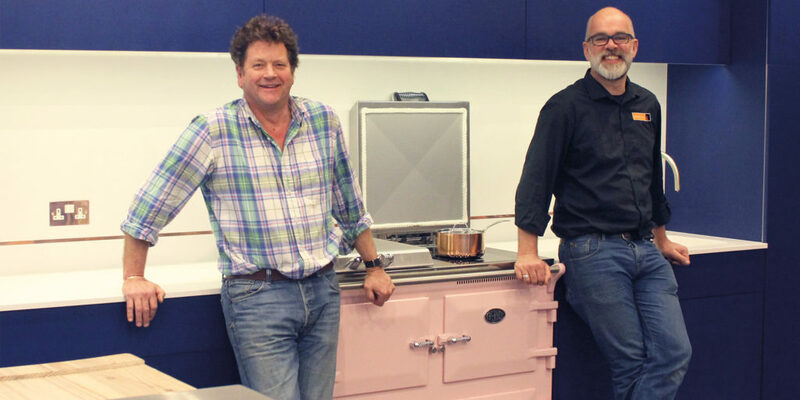 Representatives from Everhot and Broad & Turner will be leading the demonstrations alongside the Kernow Fires staff so you can discover the ins and outs of kitchen design and the kind of appliances that you could install. As well as kitchens, both Kernow Metals and Broad & Turner are creators of bespoke furniture for your home, which will also be displayed in the showroom. From handcrafted kitchens to feature walls and staircases, they’ve got the design ideas and the skills to help you create your dream home. And if you have any building plans drawn up, bring them along to ensure you get as much detail as possible on the day! some tasty delights with the Morso representative in the outdoor dining area. You’re going to have to pack up your life and move at some stage anyway, so why not get organised super early? The other upside is that it’ll allow potential buyers to easily imagine their own possessions in your property. Here are some of the ‘best practices’, as recommended by My Place in Cornwall. Find a home for every item, for instance, shoes on a shoe rack. Next, place and organise, don’t throw and forget. A potential buyer may open a drawer or a cupboard and the last thing you want is for stuff to fall out everywhere! Finally, assess how important your possessions are – if you haven’t thought about it or used it for over 12 months, do you need to keep it? 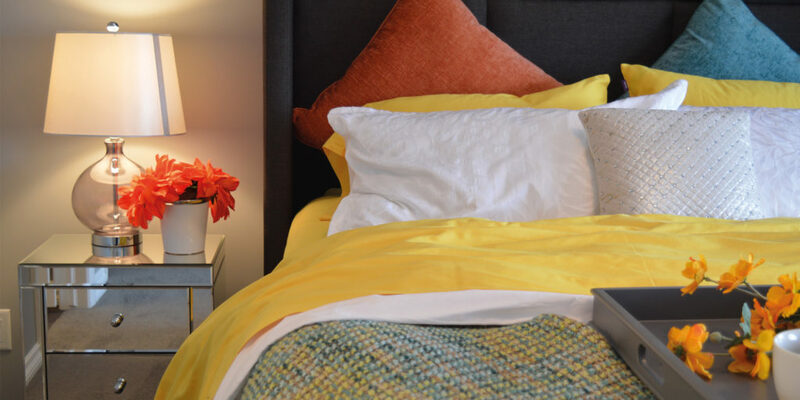 For more great tips and advice on making your home market ready, get in touch with My Place in Cornwall. 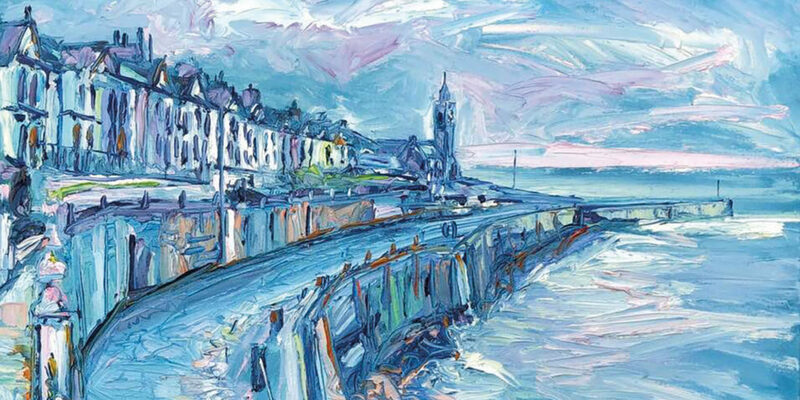 Situated overlooking the harbour in Porthleven, The Customs House Gallery displays a stunning selection of local artwork. Make sure to visit this May to discover Joe Armstrong’s inspiring collection of oil paintings, capturing Cornish scenes in a colourful array of semi-abstract pieces that will make a statement in any home. With an exhibition running from Friday 10th May until Thursday 16th May, Joe will be painting in the gallery on Tuesday 14th and Wednesday 15th May, using oil paints directly from the tube and providing you with the opportunity to see concept become creation, to watch Cornish scenes come to life on canvas. There will also be a private viewing on Saturday 11th May from 2pm until 4pm where all are welcome, allowing you to peruse the collection at your leisure and find out more about Joe’s techniques and style. 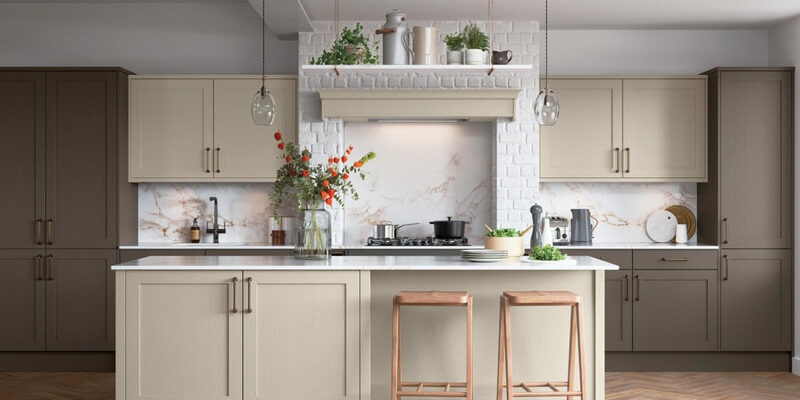 Planning a new kitchen can be daunting, but with an experienced design studio, the process can be broken down more simply, helping you balance the ergonomics and aesthetic. As one of the most complex and expensive home improvements you’re likely to undertake, it’s important not to rush key decisions. As a guide, Now Kitchens advise that a new kitchen requires at least three months. The design process, including choosing appliances, worktops, fittings and colour schemes, typically takes two to three weeks. As all Now Kitchens’ kitchens come pre-assembled, the order takes a further five to seven weeks to be manufactured. Then there’s the installation; a good quality fitter will take anytime between two and three weeks. Good fitters can often be booked up several months in advance, so if you’re looking to have a new kitchen by Christmas, starting late spring or early summer is a good idea! Cornish healthcare charity, Cornwall Hospice Care, has been chosen as Bodmin Jail’s Charity of the Year! 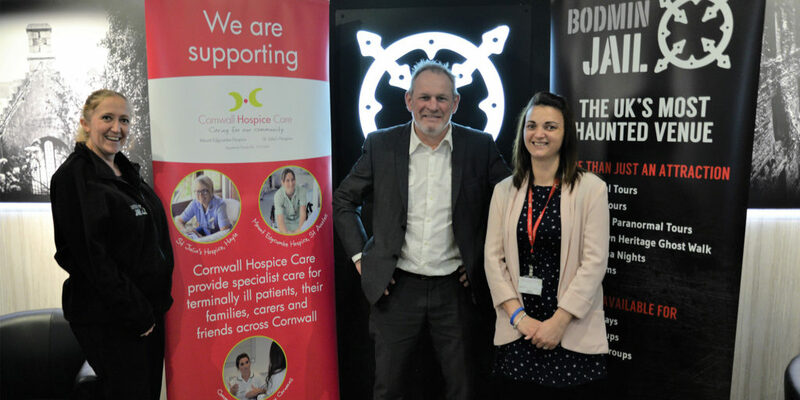 The 12-month corporate project will run until the end of March 2020, helping to raise the vital funds needed to provide specialist care to terminally ill patients across Cornwall. Designed and planted more than 200 years ago in the wealthy mining heart of Cornwall, the estate gardens at Trevince are now open Friday to Sunday for you to discover and be part of the new story. Within this historic location, you’ll find a haven for plant lovers and curious souls, a place to walk in the footsteps of the past and to imagine the future. 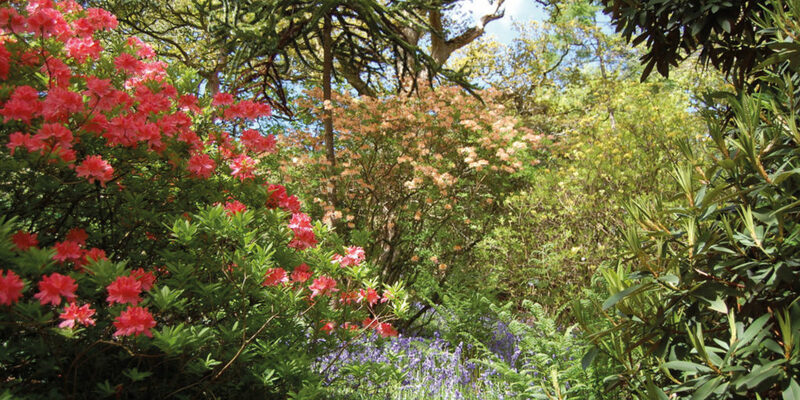 Discover the 18th century walled garden, the pond garden and shrubbery and explore the wilderness walk that takes you along the far edges of the estate grounds and woodlands. Take a seat in the Cart Shed café after your stroll through the gardens and enjoy the peaceful tranquillity with a slice of cake or some delicious homemade goodies. 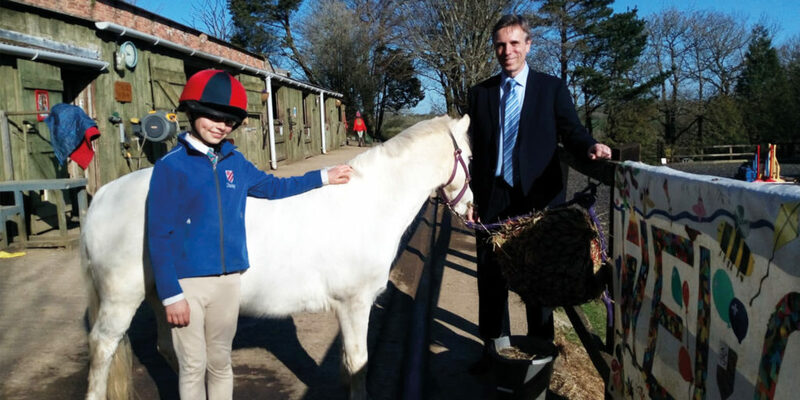 From teaching classes in the great outdoors – to offering performing arts as well as horse-riding – Polwhele House School explores novel ways to enrich pupils’ educational experience. Building on an outstanding reputation within the UK events and festivals scene, Kernow Springs have quickly become the south west’s leading supplier of traditional wood fired hot tubs and ‘off grid’ outdoor spas. Their beautiful garden creations look stunning in the natural environment and, as well as being powered by burning wood, they are completely plastic free, making them 100% natural and 100% sustainable! If you’d like to boost your rental profile, be sure to visit the Kernow Springs showroom at Trevisker Garden Centre in Padstow. 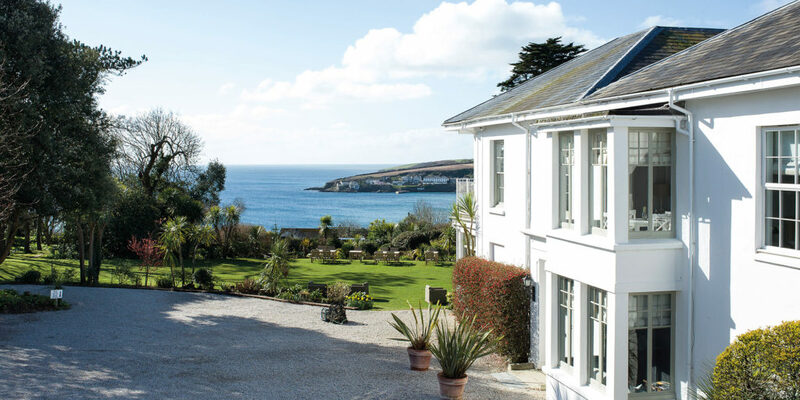 Situated on the stunning Roseland peninsula, renowned as an Area of Outstanding Natural Beauty, the Rosevine Hotel provides a truly mesmerising base from which to explore this captivating corner of Cornwall. The boutique apart-hotel boasts spacious apartment rooms for family, friends and couples to enjoy alongside the hotel’s facilities, which include an indoor heated pool and a restaurant with magnificent views onto the manicured lawns. There are 15 elegant self-contained apartments, studios and even a four bedroom self-catering house available for your stay. Why not choose a sea view room and wake up to the call of the ocean? Enjoy a coffee with your loved ones on the balcony and plan the day’s adventures – it doesn’t get much better than that. Is your home earning its keep? With the start of a new tax year and the holiday season fast approaching, now’s a good time for you to consider offering your property as a holiday let. When you let your main residence, in whole or part, the first £7,500 of income is tax free. Just imagine what you could do, or where you could go, with that! 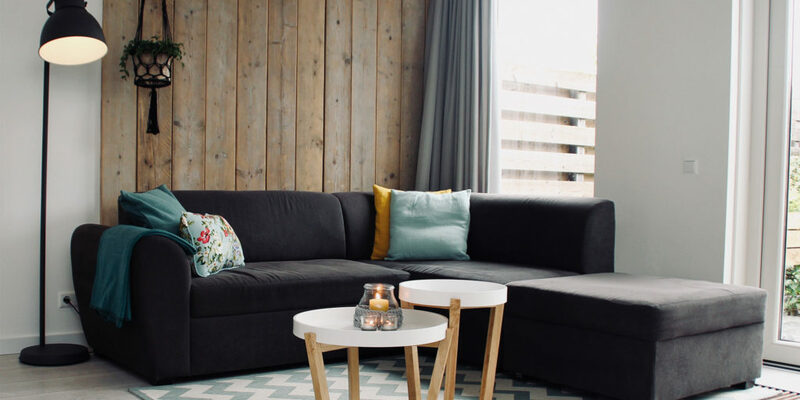 The range of online listing platforms such as HomeAway, Airbnb and Booking.com means it’s never been easier for your property to contribute towards its running costs. And, if you’re short on time or don’t have the know-how to do it yourself, the friendly, expert team at List Assisters can help. List Assisters’ recently-launched service is pay as you go, so rather than handing over a hefty commission, you only pay for the tasks you need them to do! 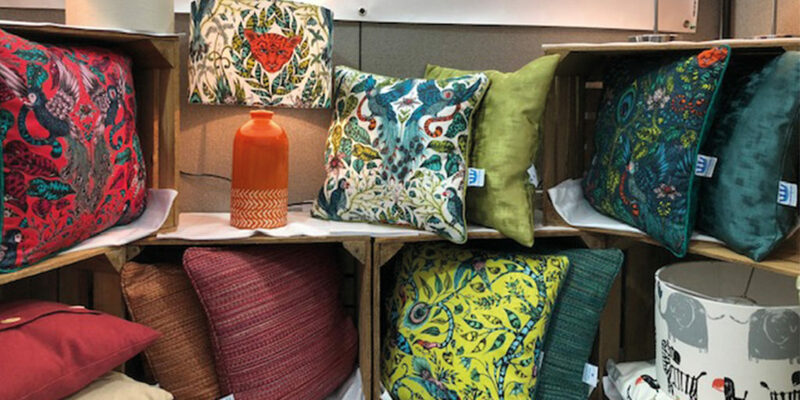 There’s now an exciting new online store for Cornish maker, Jane Marks, who specialises in handmade cushions and lamp shades. Kernow Queen’s beginnings go back to Jane hand making the soft furnishings for her holiday barns near St Ives, some 20 years ago. She wanted her properties to stand out, especially in a competitive market, resulting in unique, comfortable accommodation for her guests’ enjoyment. Jane expanded her passion in textiles and began to trade in 2016, exhibiting cushions and lampshades at local fairs and Cornish home shows to make people aware of the Kernow Queen brand. Cornish retail stores also now stock Kernow Queen products, which form a wide range for all tastes and even include a French limited edition! When it comes to the administration side of your business, it’s often an essential, but not always favourite, task. Too often, businesses and their owners can become bogged down by administrative tasks when they should be spending more time either focusing on the ‘bigger picture’ or indeed enjoying some quality time away from the business with family and friends. Since White Woods launched in April 2017, clients have seen new customers and improved growth just by delegating to this expert team. Offering virtual assistant services, as well as superyacht administration, project management and business support White Woods can help you spend more time doing the things you love. If you would like to make the most of this summer and let someone else take the strain, then why not get in touch with White Woods to see if your business could benefit from the expert support that Directors Georgie and Amy can provide. 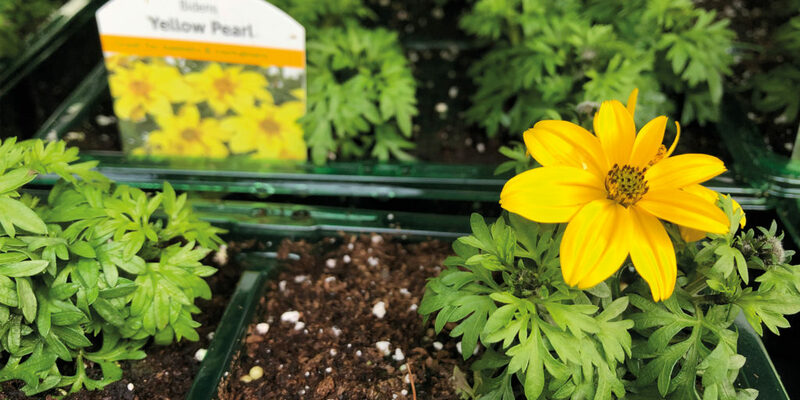 Nothing signifies spring at Trevena Cross like the inaugural journey of bedding and patio plants from nursery to garden centre. After weeks of growing in huge nursery tunnels, the first of thousands of bedding and patio packs begin to make the journey to the garden centre. To keep up with demand without relying on external suppliers, unlike many other garden centres, Trevena Cross has invested in a large transplanter machine, a compost mixer, as well as training for a dedicated nursery team, producing in-house the many thousands of bedding and patio packs that customers take home each spring. 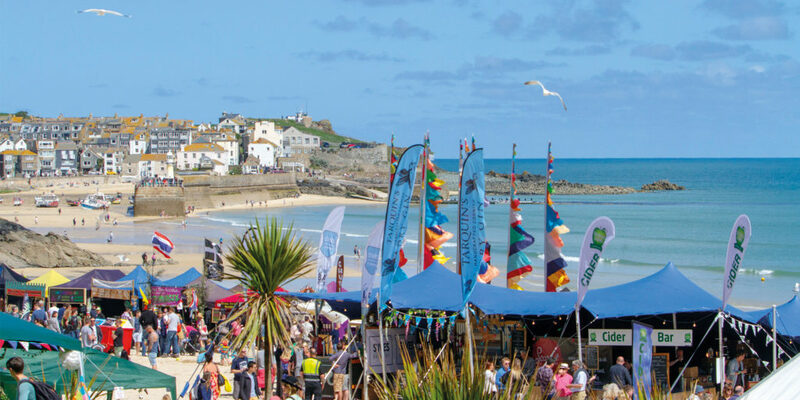 Overlooking the majestic sweep of Mount’s Bay and the iconic island of St Michael’s mount, Penzance is a year-round hub of activity, with weekly and monthly markets displaying some of Cornwall’s finest produce and wares, as well as an annual line up of events and festivals. 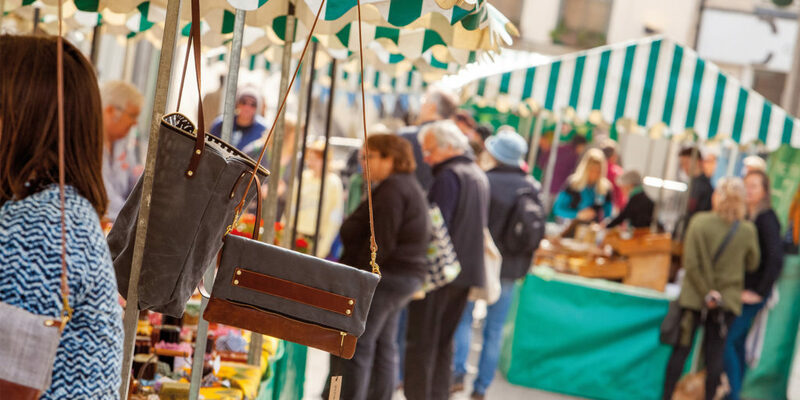 Penzance Charter Market takes place on the last Saturday of the month at Marketplace from 9.30am until 1.30pm, with Penzance Farmers Market every Friday at St John’s Hall from 9am until 12.30pm. There’s also Penzance Country Market, every Thursday from 8.30am until 12.30pm, also at St John’s Hall. 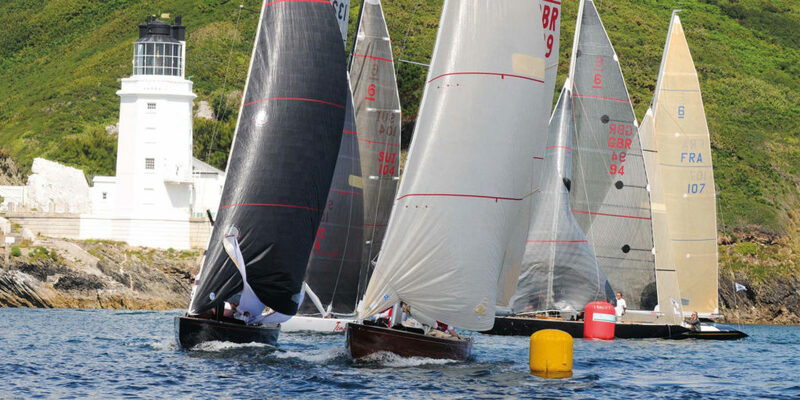 Exciting upcoming events and celebrations taking place between 21st and 30th June this year include: Mazey Day, Quay Day Fair and Golowan Festival, providing you with the chance to immerse yourself in the culture of one of Cornwall’s historic harbour towns. Looking to transform your home? Family run by a creative team, Wadebridge Kitchens specialises in fitting kitchens, bedrooms and studies, with years of experience. With so much choice in the showroom, it’s easy to mix door styles, colours and textures for a unique design that makes the most of the space available and makes your kitchen the heart of the household. Your new kitchen should look great on the outside, but it’s what goes on behind the scenes that really makes a difference. Pull-out bins for rubbish and recycling help keep things tidy, deep drawers with dividers provide extra storage space and clever internal designs including innovative corner solutions make a tricky layout easy, achieving the ultimate use of space and design. Wadebridge Kitchens pride themselves on attention to detail, installing quality furniture throughout your home. Providing in-house computer design and a full installation service, they promise to create your dream kitchen, bedroom or home office. Add fun to family time! Since then, KAP has created a place that can cater for the whole family, a place that can build your confidence in and around the water, in a safe and enjoyable environment alongside the comfort of an inside space and café. It’s the perfect introduction to watersports; whether you’re a novice or a seasoned water worshipper. 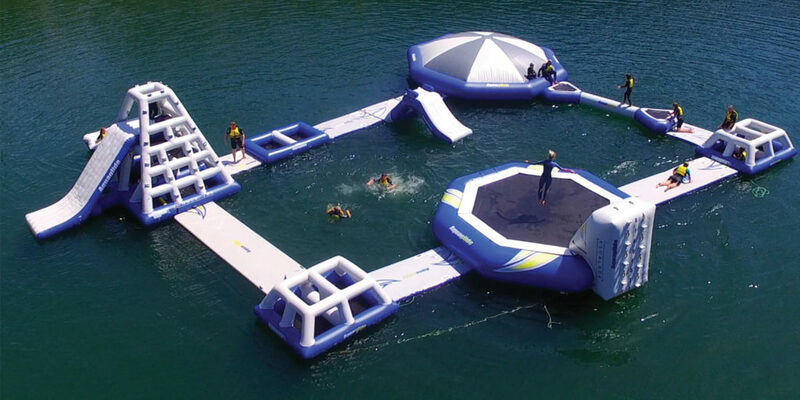 Thanks to its sheltered location, it doesn’t have to contend with ocean elements and includes an inflatable park, wakeboarding and stand up paddle boarding – providing experiences that the whole family can get stuck into and that won’t be forgotten in a hurry! Alfords Flooring has recently acquired the entire range of Axminster Carpets, a superior brand that provides both original and modern patterns in a range of styles that will look great in any home. 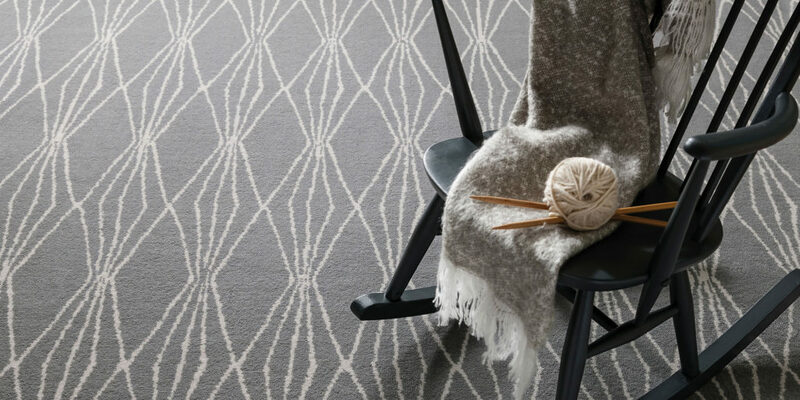 Chosen for its fantastic quality and range of finishes including Plains, Berbers and Loops – Axminster Carpets are made and designed in Britain and feature alongside a selection of other British greats in the Alford Flooring showroom. Based in Helston, the showroom allows you to peruse the collections at your leisure, finding the perfect style and texture to suit you and your home. With a dedicated team on hand to help answer any questions and a service that extends to professional fitting, you can count on the Alfords Flooring team to carpet your home to perfection.